Gordon Ramsay isn't exactly the ideal dinner party guest. If the foulmouthed chef and TV personality were to appear in your kitchen, he'd probably recite a litany of profane criticisms that would scare you from picking up a spatula ever again. If you're vegan, forget about it. Clearly, you'll have to be comfortable with a terse reprimand from the chef, even if you're trying especially hard to make something great. But it's not all put-downs and withering barbs, as Ramsay's Alexa skill also comes with a few compliments. They're probably not all that easy to come by, though. If you want to pretend Ramsay's actually in your home, there's a few soundbites specially tailored for specific dishes. The chef will deliver custom-made replies after you ask him about your mac & cheese, casserole and fried chicken. 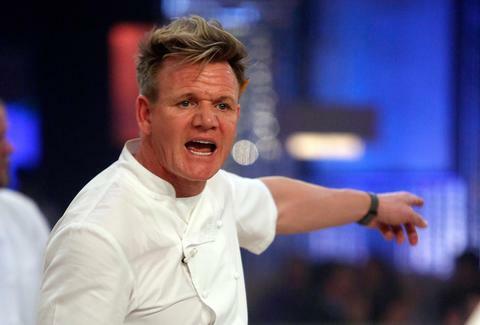 To invoke Ramsay, just say "Alexa, enable Gordon Ramsay,” and prepare to be inundated with blistering insults to your credibility in the kitchen. Amazon clearly thinks there's something hilarious (and profitable) in Ramsay's voice coming through Alexa's speakers. The inimitable Scottish born chef appeared in the company's Super Bowl commercial, in something of a prelude to his new Alexa skill.